I was out in Llandudno for the day and a sea gull swooped down, hit me on the head and flew off with the remains of my ice cream. They don’t need a PR expert, they need an extermination expert to rid us of this filthy and violent creature. They’re so vicious and make an absolute mess of the whole area, replace them with robins and what a lovely place we’d have! The irony in the above comments is extremely laughable. There are large portions of the World’s human population much more filthy and violent than any Herring Gull. 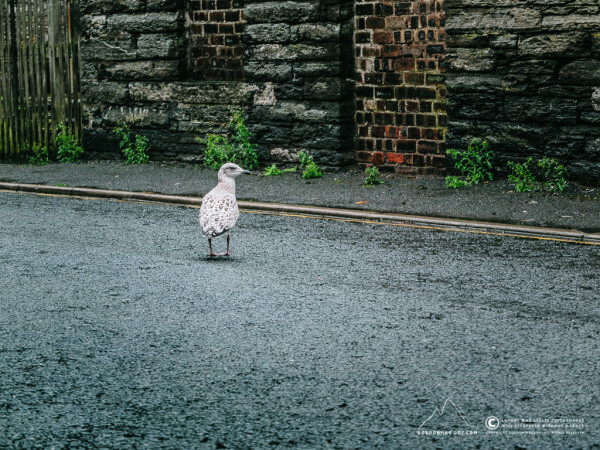 People present Herring Gulls with food, the Herring Gulls naturally take advantage of it, and the Herring Gulls get the blame. If you don’t like them, clean up your f*cking rubbish!